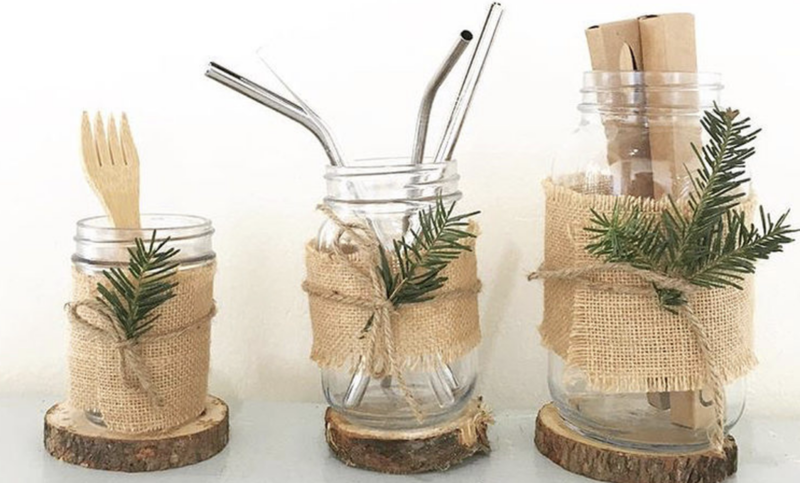 There are many more environmentally-friendly and package-free swaps that are available, it depends on who you are gifting and what they would appreciate most. Last year, I kid you not, my sister and I gifted each other soap nuts! You know those beautiful gifts you received a few years ago, but never even took it out of the box? 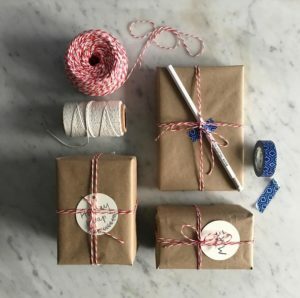 There’s no harm in re-gifting these items (as long as they’re not to the person who gave it to you in the first place, haha) I’m sure that if you Marie-kondo your home, you’ll also find items that are perfectly giftable. It’s the same as buying items on ebay or in secondhand shops, which are also good options for looking for gifts too. Movie/show tickets, a class, a beauty treatment, park passes, memberships… these experiences are meaningful, personal, and come without packaging. Alternatively give virtual gifts like donating to a charity a person supports, or movies, ebooks or the #plasticfreefoodie eMagazine. How you purchase, make or present your gift can be considered too. After all, it’s the little things that make a big difference. Ideally it’s better to shop at a bricks-and-mortar store, rather than shopping online. This way you can at least bring your own bag, and not be stuck with bubble wrap and other packing materials. There are online shops that don’t ship with plastic packaging like lifewithoutplastic.com and packagefreeshop.com, which are also great resources. For clothing items, shop organic and fair trade. Many fabrics are blends of natural and synthetic compounds. Each time you wash a garment with nylon, polyester, lycra, spandex, fleece, and acrylic, millions of microplastic fibers are released into the water. These particles are too small to be filtered out in waste treatment centers and end up in the ocean. Use natural fibers as much as it possible like 100% organic cotton, hemp, and bamboo. Skip the gift wrap, especially foil or glitter-decorated paper. Did you know glitter is plastic? Baskets, jars, tins, and fabric (like a bandana, scarf, or pillowcase) are reusable alternatives that are gifts themselves. The Japanese art of furoshiki uses fabric that is folded and tied for a beautiful wrapping. 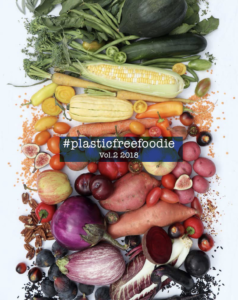 In collaboration with over 100 foodies and Instagram influencers, I have published two volumes of the #plasticfreefoodie. You’ll find over 100 recipes made from ingredients free of plastic packaging, accompanied by stunning photography of each dish. PLUS all proceeds benefit Plastic Oceans International and Lonely Whale! It’s only $8.99, so it makes an easy and responsible holiday gift. BUY HERE. I have come to realize that we don’t “need” many material things to make this season festive. What’s most valuable is the quality time spent together with those you love. Happy Holidays! Christine Wong is a NYC healthy chef, content creator, and founder of Yommme and @conscious_cooking, platforms that celebrate the beauty of plant-based eating and plastic-free cooking. 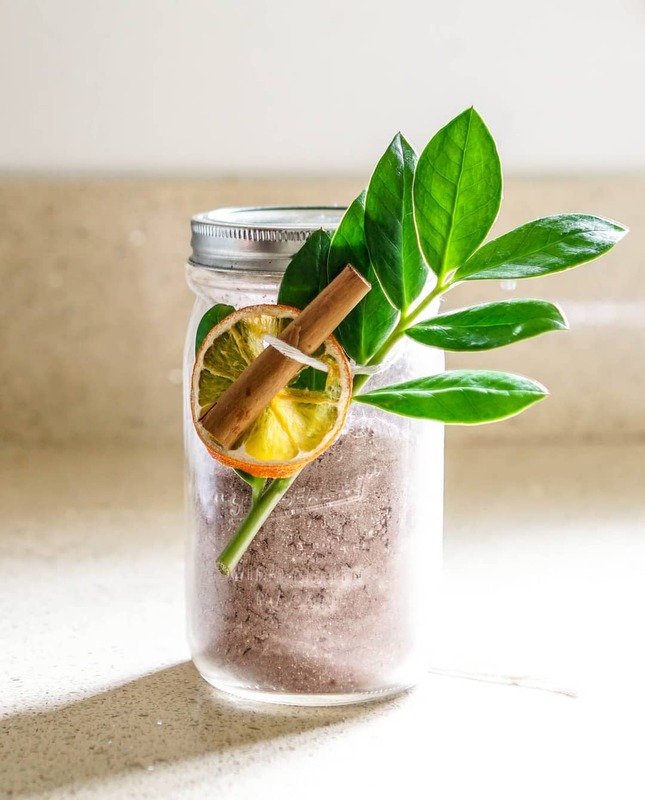 Christine created the annual #plasticfreefoodie recipe collection from food bloggers and zero-waste influencers around the world. All recipes are created with ingredients free from plastic packaging,. This community project inspires change as well as raises money for Plastic Oceans International.